Organization, Family Name, Club, etc. 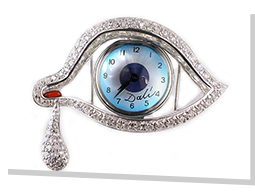 First time guests may wish to see "The Works of Dali." Special Exhibitions are listed under "Exhibits + Collections" on thedali.org. "Dali +" tours are special requests and pending docent availability. We offer private tours in English, Spanish, French, German, Russian, Italian and Japanese. Please indicate the number of guests that will be attending, from each category below. I understand that a $50 deposit is required to hold my reservation. Deposits are refundable until 2 weeks prior to the reservation, after which deposits are forfeited if cancelled. I understand that final confirmation of guests and final payment are due 48 hours prior to my reservation.